These were taken throughout Southern Ontario from a photography mast which extends to 50 feet high. Mast photography is perfect for large, scenic real estate listings which are difficult to show from ground level. More samples can be found at www.elevatedphotos.ca. Milton, Ontario looking toward Toronto. Photographed near Barrie, Ontario from about 40 feet high. Elevated photo showing a large open backyard. 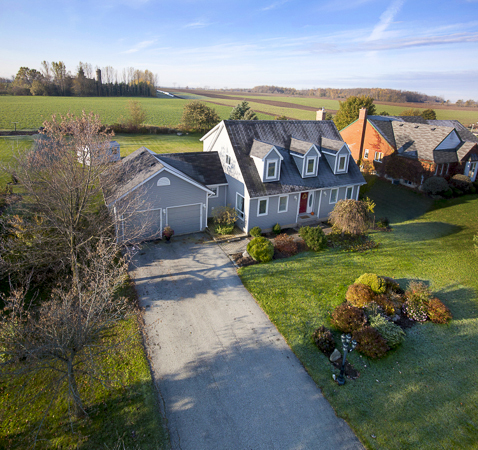 Large backyard in Carlisle, Ontario photographed from 30 feet high. Large property with a scenic country view and tennis court. Panoramic photo of a backyard with a large garden (or small farm) near Hamilton, Ontario. 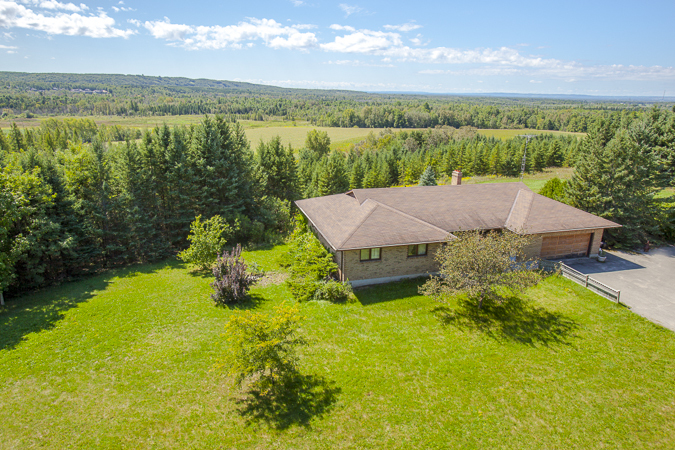 Elevated panoramic real estate photo of a Georgetown, Ontario listing. 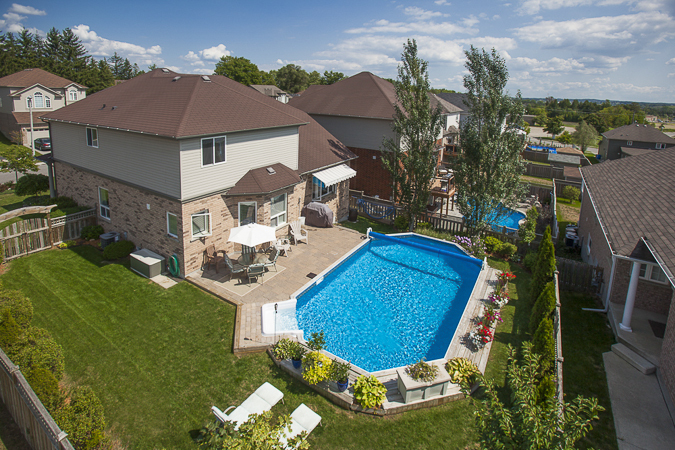 Elevated photo of a suburban backyard in Guelph, Ontario. 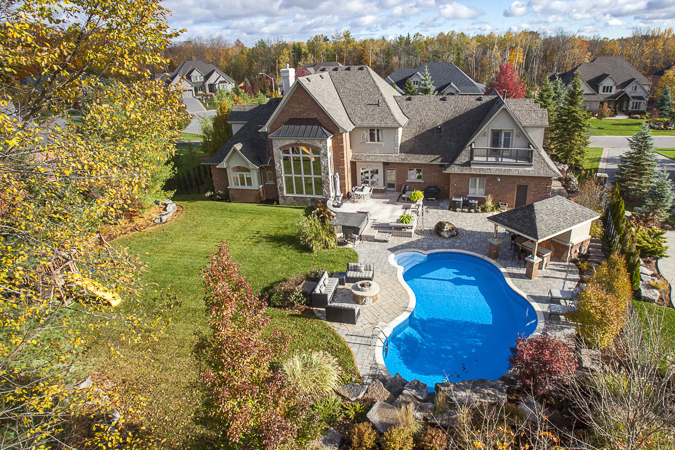 Elevated photo of a luxury country home in Ontario. Luxury home in Barrie, Ontario photographed from 35 feet high. Our photography mast set-up which extends to 50 feet high.